Well, the numbers are in for 2014 and they are far from promising. Nearly 50,000 Americans lost their lives due to overdoses in 2014, according to the Centers for Disease Control and Prevention (CDC). The rate of overdoses rose seven percent from the year before. Prescription opioids and heroin accounted for the bulk of deaths. The findings should be a call to action for lawmakers who are still unsure about providing greater access to the life saving drug naloxone, which was recently approved by the Food and Drug Administration in nasal spray kit. Naloxone has the power to reverse the effects of an opioid overdose, provided the drug is administered in time. Close to 19,000 of the more than 47,000 deaths last year were the result of prescription opioid overdoses, a 16 percent rise from 2013, the Associated Press reports. Heroin overdoses rose 28 percent, to about 10,500. The nation's drug overdose problem "is not getting better," says CDC Director Tom Frieden. He added that the agency is looking over the data in an attempt to establish a cause for the dramatic increase. A possible cause for some of the increase of overdose deaths could be illegally made fentanyl, a relatively easy to make synthetic opioid about 100 times stronger than morphine, and 30-50 times more powerful than heroin. Mexican cartels have been synthesizing the powerful narcotic in clandestine labs, of late, and the drug is often mixed into heroin batches to increase potency. Heroin users who are unaware of the mixture are at great risk of overdose; across the country many have succumb to the lethal combination. Opioids are highly addictive, and difficult to break free from without help. Without medically supervised detoxification, many addicts quickly relapse finding the pain of detox too hard to bear. 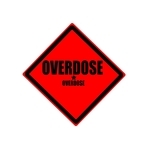 Overdoses often occur after someone has been clean for several days and returns to using. Failing to adjust one’s dosage after being drug free briefly, is a sure way to overdose. At Hope by The Sea, we offer a residential detoxification program that aids in cleansing a person's mind, body, and spirit. Once free from the withdrawal symptoms, addicts are able to begin learning how to live a life of recovery. If you or a loved one would like to begin the journey of recovery, please contact our treatment facility.